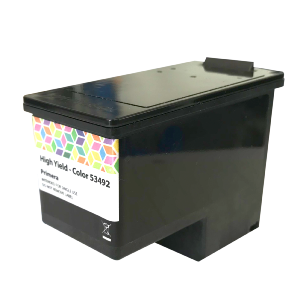 This is a single replacement tri-colour ink cartridge for use in the Primera LX910e label printers. #PERFORMANCE#Dye-based ink produces vibrant colours and photo-quality shades and tones. However, dye-based ink is not UV-stable and may fade over time in natural light or near strong UV sources. It may also fade when exposed to certain airborne contaminants such as strong vapours or solvents.